The Blackcaps are set to host Bangladesh for the second Test at the Basin Reserve in Wellington. New Zealand will be beaming with confidence after their emphatic win in the first Test match while the visitors are still searching for their first victory of this tour. Both the teams will collide once again in the white kit, where the hosts will look to seal series to gain an unassailable lead of 2-0. New Zealand won the opening test match by an innings and 52 runs after a stellar show by the Kiwi batsmen. Having won the toss, Kane Williamson elected to field first, and his bowlers backed his decision with a sensational performance. Neil Wagner took a fifer and led the charge to restrict Bangladesh for a mere total of 234 under 60 overs. In reply, the hosts scored their highest ever total in Test Cricket. 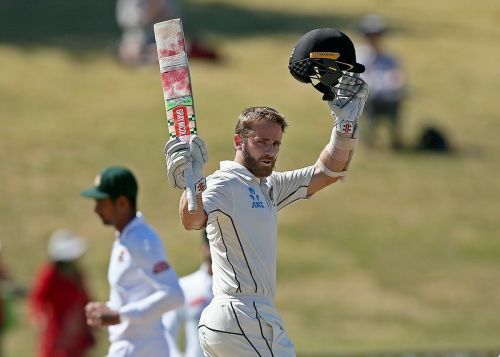 Kane Williamson batted beautifully to score his unbeaten double-century and declared the innings after posting 715-6 on the board. The Kiwis would be eyeing for the same kind of clinical performance heading into the second match. On the contrary, Bangladesh is having a terrible time on this tour as they remain winless at the playing five games. The visitors have been inconsistent with their star players struggling to find any form. Having been hammered in the first game, Bangladesh would be hoping to bounce back in this series. Their bowlers need to toil hard in the upcoming Test after a poor show in Hamilton. Tamim Iqbal looked in excellent touch and will lead the charge from the front with the bat for the visitors. Bangladesh can certainly take some positives from the performance of Mahmudullah (146) & Soumya Sarkar (149), the due stitched a crucial partnership of 235 runs in the second innings.